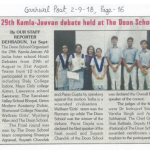 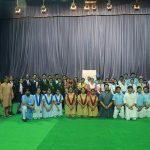 The Doon School Organized the 29th Kamla-Jeevan All India Inter school Hindi Debates from 29th of August to 31st August. 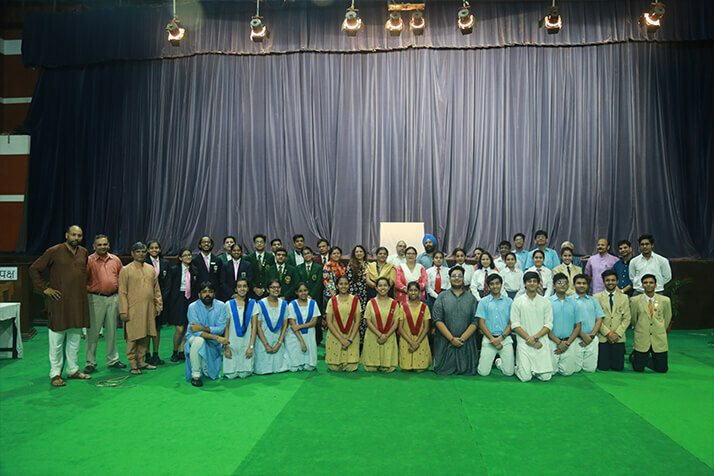 Teams from 12 schools participated in the contest including Daly College Indore, Mayo Girls’ College Ajmer, Lawrence school Sanawar, The Sanskaar Valley School Bhopal, Gems Modern Academy Dubai, Sherwood College Nainital, Welham Girls’s, Unison World, Wynberg Allen and The Doon school. 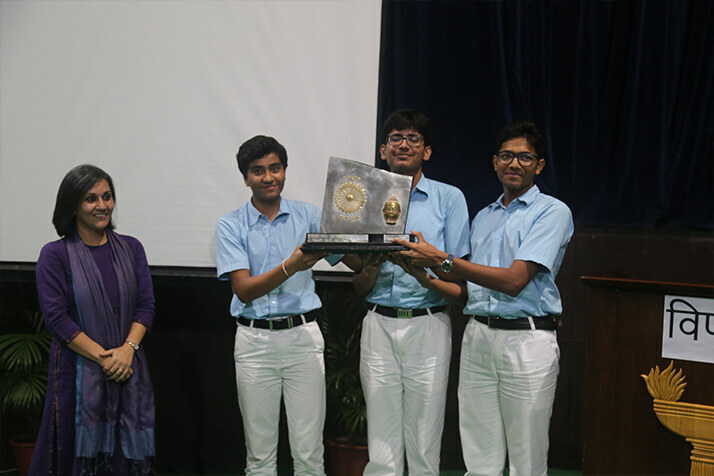 The Final round won by The Doon School team comprising Shourya Agrawal, Suyash Chandak and Paras Gupta by speaking against the motion ‘India is a wounded civilisation ‘. 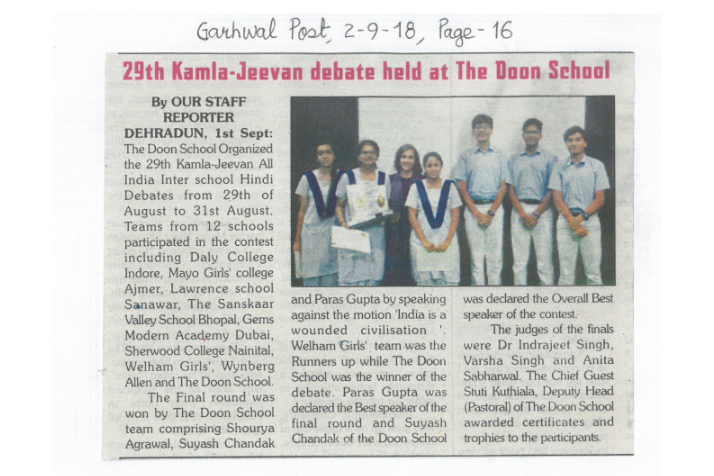 Welham Girls’ team was the Runner up while The Doon School was the winner of the debate. 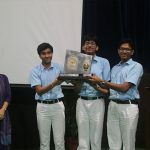 Paras Gupta was declared the Best speaker of the final round and Suyash Chandak of The Doon School was declared the Overall Best speaker of the contest. 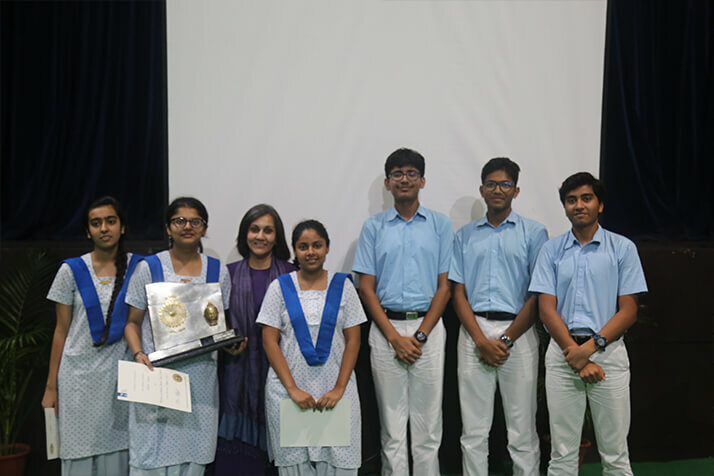 The judges of the finals were Dr Indrajeet Singh, Ms Varsha Singh and Ms Anita Sabharwal. 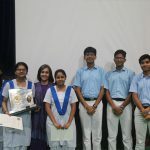 The Chief guest Ms Stuti Kuthiala Deputy Head (Pastoral) of The Doon School awarded certificates and trophies to the participants.